What recipes produce a habitable planet? NASA’s interdisciplinary Nexus for Exoplanet System Science (NExSS) project has awarded Rice University $7.7 million for a multidisciplinary, multi-institutional research program aimed at finding many different recipes nature might follow to produce rocky planets capable of supporting life. He said the research will be guided by knowledge from the solar system’s rocky planets — Mercury, Venus, Earth and Mars — and other objects, but CLEVER Planets’ goal is to extend knowledge to rocky worlds orbiting distant stars. Co-investigators on the five-year grant include Cin-Ty Lee, professor and chair of the Department of Earth, Environmental and Planetary Science at Rice; Adrian Lenardic, professor of Earth, environmental and planetary sciences at Rice; Laurence Yeung, assistant professor of Earth, environmental and planetary sciences at Rice; Pedram Hassanzadeh, assistant professor of mechanical engineering and of Earth, environmental and planetary sciences at Rice; Andrea Isella, assistant professor of physics and astronomy and of Earth, environmental and planetary sciences at Rice; Tom McCollomof the University of Colorado, Boulder’s Laboratory for Atmospheric and Space Physics; Hilke Schlichting, associate professor of Earth, planetary and space sciences at UCLA; Sarah Stewart, professor of Earth and planetary sciences at the University of California, Davis; Aaron Burton, planetary scientist in the NASA Johnson Space Center’s Astromaterials Research and Exploration Science Division; and Francis McCubbin, astromaterials curator in the NASA Johnson Space Center’s Astromaterials Research and Exploration Science Division. The CLEVER Planets team also includes collaborators Christopher Johns-Krull and David Alexander, both professors of physics and astronomy at Rice. 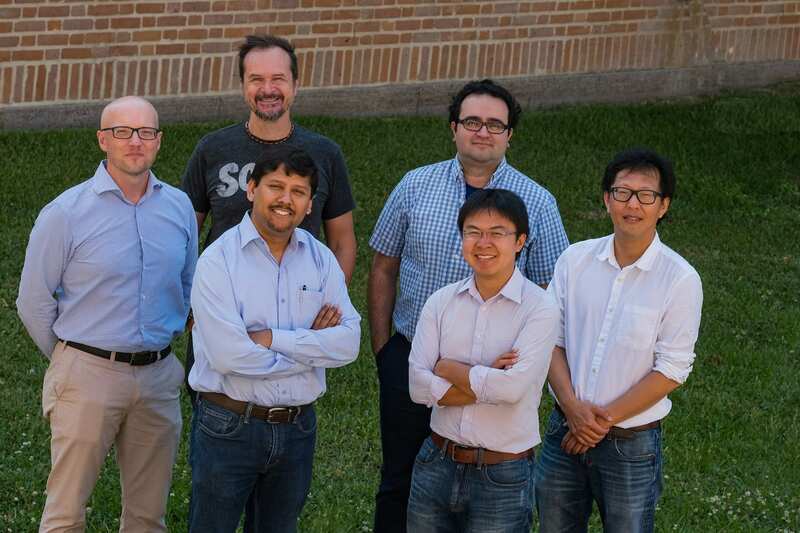 The Rice-led team was selected from a competition in response to the NASA Astrobiology Institute Cycle 8 Cooperative Agreement, and funding was awarded by NASA’s Science Mission Directorate as part of the agency’s interdisciplinary NExSS Project. NExSS is a NASA research coordination network dedicated to the study of planetary habitability. The goals of NExSS are to investigate the diversity of exoplanets and to learn how their history, geology and climate interact to create the conditions for life. https://earthscience.rice.edu/wp-content/uploads/2018/09/0917_ASTROBIO-CLEVERPlanets-logo-white-lg-1nu8cyd.jpg 566 1150 Linda Welzenbach https://earthscience.rice.edu/wp-content/uploads/2017/08/EEPS-banner-for-web-left-e1502732170997.png Linda Welzenbach2018-09-17 16:18:042018-09-17 16:19:45What recipes produce a habitable planet?